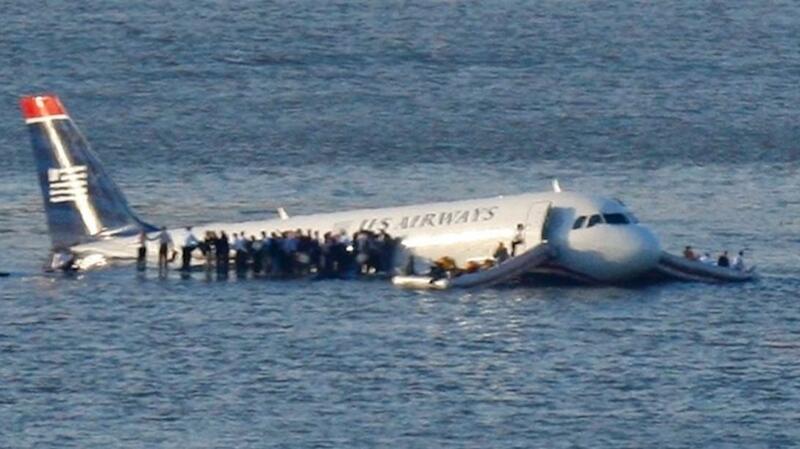 Apply Human Factors. Master the Dive. Award-winning. Globally Unique. Mindset Changing. Improving Safety. 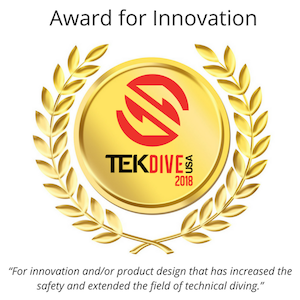 Most accidents and adverse events in diving are not down to undetected technical failures, poor buoyancy or incorrect trim, but rather a breakdown in communication, poor decision-making or a lack of situational awareness, or more likely a chain of events which are based around these human factors and nobody provides training in this subject in a holistic manner. The Human Diver - What it's about... from Human In the System on Vimeo. "It's a hell of a lot of fun!" There are no drills from a conventional scuba standpoint. There are no skills built on muscle memory. 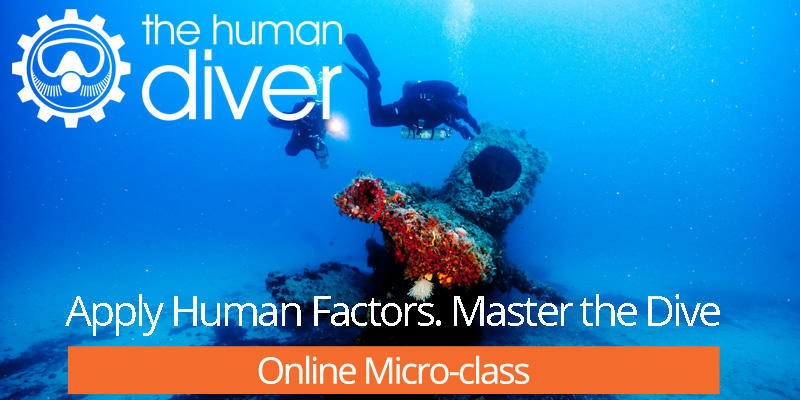 The Human Factors class is a way to probe around why we behave the way we do as individuals and as part of a team through discussion and computer simulation. Practicing different non-technical skills to work towards reframing our understanding of ourselves… to inspire ourselves towards greater effectiveness as communicators, as team members, and as divers. This 3-hour online class is a great starting point to find out why we make mistakes and how we can reduce the likelihood of an accident or adverse event occurring. We dive into decision making, situational awareness, communication and cooperation skills, and crucially, their interdependence. Using case studies and practical exercise, we bring the topic to life. Want to gain a quick but valuable insight? 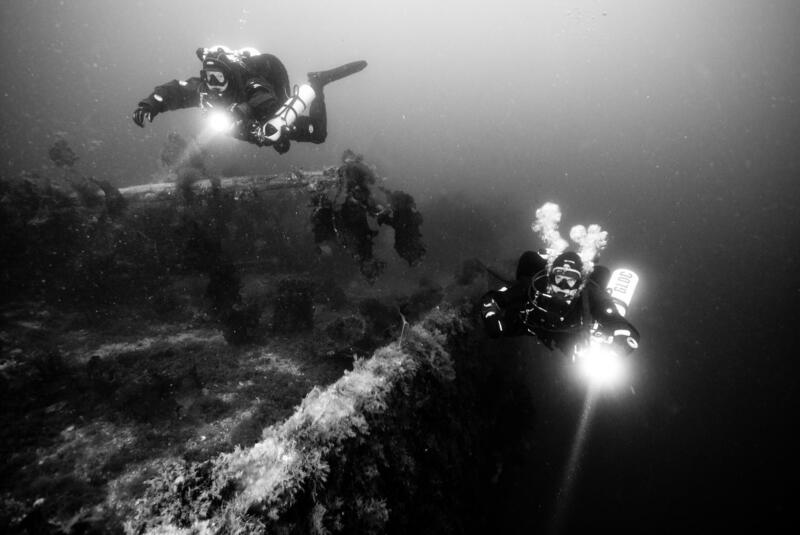 If you are a dive leader, master or instructor, or undertake higher risk diving like CCR, Cave or Tech Diving, this globally-unique course is a MUST. 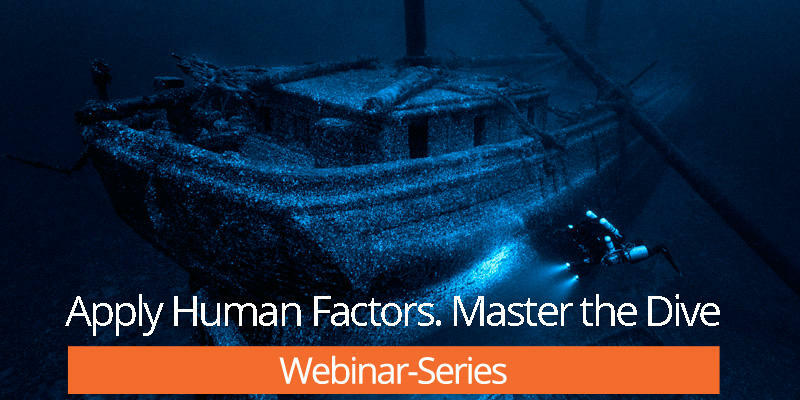 Providing an in-depth understanding of human factors and their impact, and a wealth of practical techniques combined with case studies and more theory. 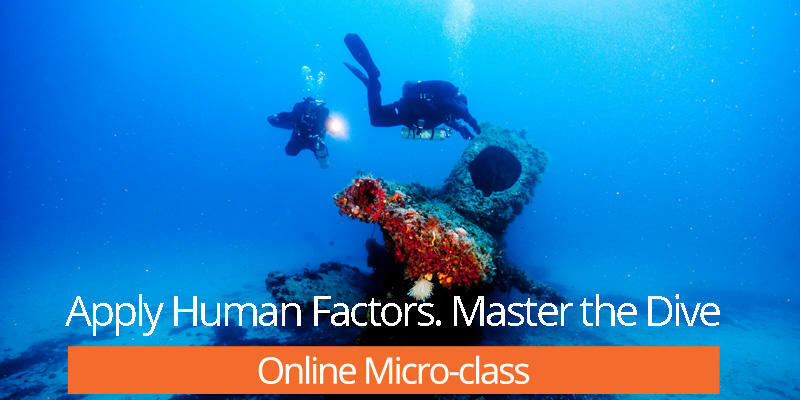 Do you want to push yourself more than just the micro-class and learn more? Are you a recreational/technical instructor who wants to take your development to the next level and be given the skills, knowledge and expert-produced training materials to inform and develop your students further? If so, this 4-hour instructor development course is designed for you! PLUS, an optional additional programme is available with new materials and case studies provided monthly. Our 2-day core topics and 3-day advanced classes are the ultimate in hands-on, experiential learning. The classes provided by The Human Diver for the diving community are based on the syllabi used by high reliability organisations like the Royal Air Force, the CAA, the FAA and the Royal College of Surgeons to ensure aircrew and surgeons can operate at the highest levels of excellence. 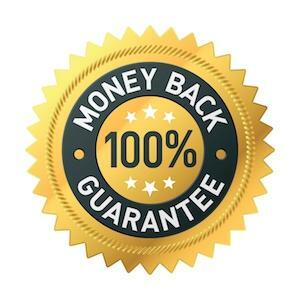 If you believe that you didn't get value for money, we will refund the amount you paid for it. However, for our continual improvement, you will need to provide some feedback as to why the learning didn't happen and potentially how we can make the class better. What do you have to risk? High performance requires a level of commitment. Are you ready for that challenge? If this subject really interests you and you want to take your learning to the next level, visit the pages below. Practice doesn't make perfect, perfect practice makes perfect. What does a two-day class look like?